NBC Universal Media's new augmented reality mobile app promotes the new series "Happy!" on the SYFY channel. 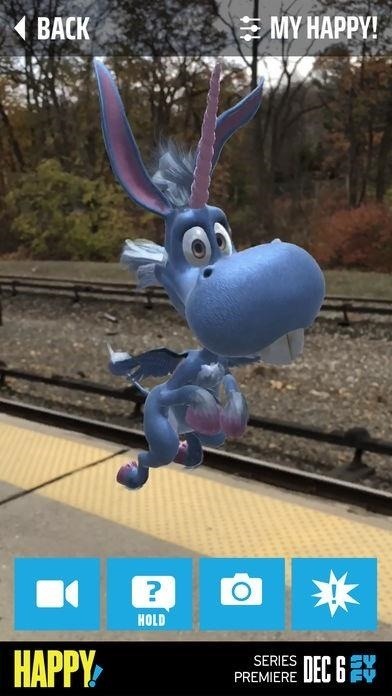 The app brings to life the title character, a winged unicorn voiced by Patton Oswalt. Happy flies around your space while repeating and acting out lines from the show. It's basically a suped-up soundboard, with Happy performing dozens of scenes on a tap either at random or as chosen from the action menu. Happy can sing songs. He can make pancakes. Occasionally he poops. You can also ask Happy a question for him to answer, essentially acting as a magic eight ball. 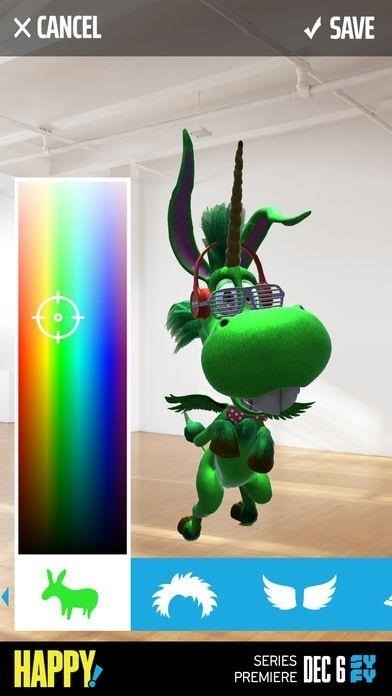 Additionally, users can customize Happy by changing the color of his body, mane, and horn and adding various accessories. On iPhones, Happy! 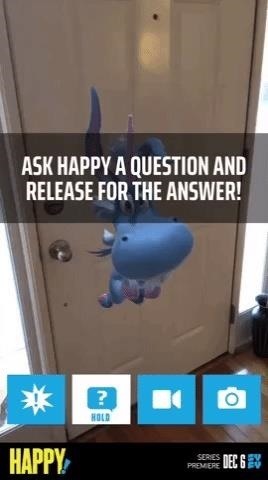 AR employs ARKit to anchor Happy in your physical space. The app is also available for Android, but the experience there is merely an animated overlay on the camera view. 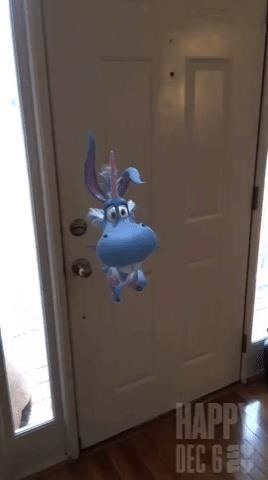 According to a spokesperson, SYFY plans to update the app with ARCore once the feature emerges from preview status. As one would expect, users can capture Happy's hijinks in pictures and video. On iPhones and iPads running iOS 11, the app utilizes the built-in screen recording feature for video, while the Android version has Unity's Everyplay service integrated to capture video. An adaptation of the graphic novel of the same name, the show stars Oswalt and Christoper Meloni, who plays a disgraced, degenerate, and down-on-his-luck former detective turned-hitman. Happy is the imaginary friend of a kidnapped girl, and he recruits Meloni's character to rescue her. The show premieres Dec. 6 on SyFy. Check out the show trailer below, but be warned: It's graphic. This flying unicorn is not made for kids.